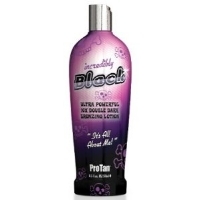 A light fast absorbing darker tanning formulation, with medium warm tingle effect. Formulated for the intermediate tanner. Dark Start Hot will boost and accelerate your tan with its darker tanning formulation and warm tingle stimulating complex, while hydrating and caring for your skin. Women who regularly sunbathe live longer, a leading cancer specialist has claimed. Hakan Olsson says his research shows the health benefits of exposure to sunlight ‘far outweigh’ the danger of skin cancer. He said vitamin D produced by the body when tanning gives vital protection against blood clots, diabetes and some tumours. But the professor’s claims, based on a study of 40,000 women, sharply contradict warnings that sun exposure is behind soaring levels of skin cancer. Rates of malignant melanoma, the deadliest form of the disease, have quadrupled since 1980. Experts blame the rise on sunbeds and the increasing numbers of Britons going abroad on cheap package holidays. But Professor Olsson, who works in the oncology unit at Lund University in Sweden, believes the benefits of the sun ‘far outweigh the negatives’. He said there was overwhelming evidence that exposure to the sun helps protect against blood clots in the leg, which claim the lives of 25,000 Britons a year. These clots, known as deep vein thromboses, have been shown to be far more prevalent in winter than summer. Professor Olsson, who was presenting his research at the Swedish Society of Medicine, cited other studies showing that more patients are diagnosed with diabetes in the colder months, a phenomenon attributed to a lack of vitamin D.
For his study, he examined tanning habits and the incidence of illnesses such as heart disease, diabetes or malignant melanoma. ‘Our studies show that women with active sunbathing habits live longer,’ he said. Professor Olsson also suggested that skin cancer was not caused by sunbathing alone. ‘I and many others believe that there may be factors other than the sun that influence the risk of malignant melanoma,’ he said. But Ed Yong, of Cancer Research UK, said: ‘While some sunshine is good for us and vitamin D is important for good bone health, there’s inconclusive evidence to suggest that vitamin D protects against other disease such as cancer or heart disease. ‘Not burning is the most important thing people can do to protect themselves against developing skin cancer. Sunburn is a clear sign that skin cells have been damaged and increases the risk of the disease. Experts warn that most Britons lack vitamin D, which is found in oily fish, eggs and butter. 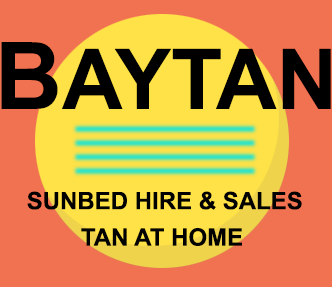 Ninety per cent of our supply of it comes from the action of sunlight on the skin.